Judokas will compete in an over 100 kilogramme category for men and an under 48 kilogramme category for women at the Games next year. Eight athletes will compete in each category, with a knock-out elimination round, followed by two repechages and a final deciding the medallists. The International Blind Sports Federation will decide who is eligible to take part. The announcement was made at the end of a two-day visit by the European Olympic Committees (EOC) Coordination Commission, which visited the Azerbaijani capital to assess progress with the Games. "I am delighted with the proposal to include visually impaired judo on the sports programme," said EOC President Patrick Hickey, who is also an International Olympic Committee Executive Board member. "It is a welcome addition and absolutely in line with the EOC's vision for the European Games to act as a catalyst for innovation in European sport." The EOC claim Baku 2014 will be the first continental Games to "fully integrate" a Para-sport discipline into its sports programme. 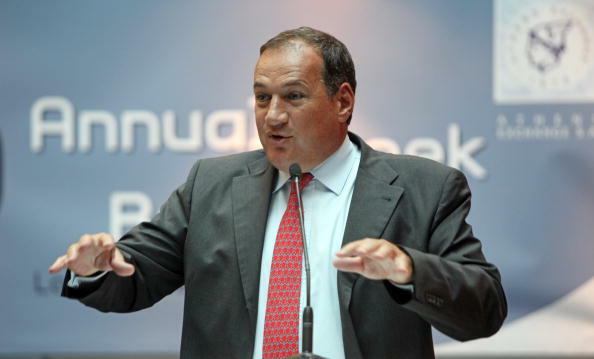 Under the chairmanship of Spyros Capralos, President of the Hellenic Olympic Committee, the 16-member Coordination Commission has been on site visits and attended a number of meetings. The First Lady of Azerbaijan, Mehriban Aliyeva, who chairs the Baku 2015 Organising Committee (BEGOC), said: "The Government and the people of Azerbaijan are proud that the first European Games will be held in our country. 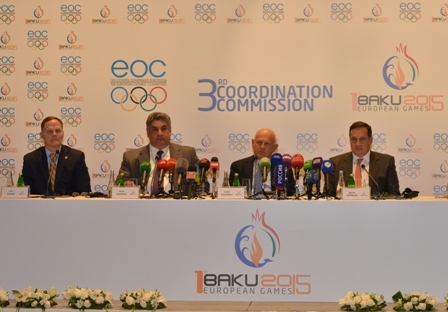 "The Baku 2015 European Games will set the standard for the future of European Games." She added: "Construction work including the National Gymnastics Arena, Baku Shooting Centre, the Baku Main Stadium and other construction and renovation work around our existing sports infrastructure continue at pace and we are confident they will be delivered on time and on budget. "We have attached particular importance to the creation of the Athletes' Village which will be one of the best facilities to accommodate and host athletes in sports history." Yesterday, it was announced more than 6,000 athletes in 19 sports will compete at the Games. It was also revealed that athletics will be part of the programme, as well as street athletics, which will be a demonstration event. 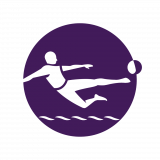 Other non-Olympic disciplines including 3x3 basketball, beach soccer, acrobatic and aerobic gymnastics and karate will also feature in Baku. Coordination Commission chairman Capralos said: "As Chairman of the EOC Coordination Commission I can confirm that we have been impressed with the state of BEGOC's preparations on our third visit to Baku. "We have had a busy schedule with back-to-back meetings as well as site visits. 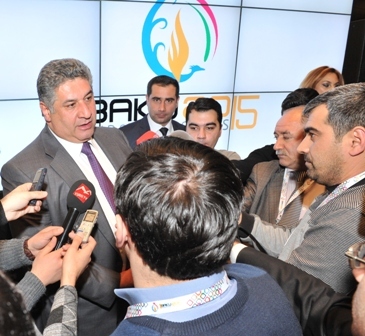 "There is just over a year to go before the Opening Ceremony of Baku 2015 so every day is important. "But after this inspection, I have complete confidence that BEGOC will continue to be innovative and make good progress and will deliver the perfect stage for the inaugural European Games." Azad Rahimov, Azerbaijan's Minister for Youth and Sport and chief executive of Baku 2015, said: "Every day of preparation is hugely important as we move towards the delivery of the First European Games. "I wish to thank the Coordination Commission for their ongoing assistance and expertise and their input and enthusiasm over the last two days. "I assured the Commission the Games continues to have the full support of the Azerbaijani government and people of Azerbaijan." The European Games are due begin on June 12 and end on June 28, 2015.